Cloud technolgies are reducing operating costs by factors, enabling new innovative services and creating new business models. Innovation examples are electronic health records, personalized medicine, global collaboration models in diagnostic, cloud enabled devices, new business models are baased on pay per use and subscription models. The main drivers in healthcare for cloud services are redistribution CAPEX to OPEX, lack of talents, technology currency, increasing high availability and disaster recovery requests. The security and privacy requests regarding patient data are the main barrier but new technologies e.g. encryption, anonymization, auditing allow to overcome them. But still due to these heterogenous data protection and privacy regulations the healthcare market will be dominated by "private cloud" concepts for a while. The trend is headed by US market but has reached Europe already. Many players from various market domains think about telemedicine very seriously nowadays: from Silicon Vendors and SoC Dealers, through SW Houses and Integration Service companies to Medical Device Manufacturers and Telco Operators. Despite the wide range of ventures in the subject worldwide, it seems that very strong cooperation of all the stakeholders mentioned is a must to succeed in producing an E2E Telemedicine System really deployed, operating and lucrative. The presentation will show an aggressive way to approach telemedicine, trying to address and put together all the needed blocks in one ambitious E2E undertaking. 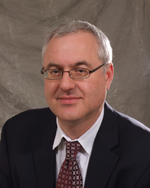 Piotr Madej is the Head of Medical Devices RnD Department in iMed24, a company of Comarch Group. He has been dealing with mobile and embedded industry since 2002. Graduated from the University of Science and Technology in Krakow, Poland, as an enthusiast of Embedded Software he loves to look for synergies between embedded technologies. This passion is supported by nearly 10 years of in-field experience as a PM or PdM in many SW and HW projects for variety of embedded domains, from Mobile SW, through Consumer Electronics to Medical Devices and Automotive. The critical nature of safety in medical device software requires a repeatable and compliant software engineering process. This process should take into account the whole development life cycle, risk management, and software verification and validation activities that would commensurate with the device´s complexity and risk. This paper discusses some of the key challenges medical device manufacturers are facing in the development and certification of medical device software. These challenges include: compliance with the EU and US regulatory requirements for medical device software, making software development and maintenance processes more agile in the medical device regulatory environment, integrating usability engineering process/human factors into software development, regulation of networked medical devices and mobile medical applications (apps). The MED-EL case study highlights some of the challenges described in this paper, and the approaches taken to overcome these challenges. 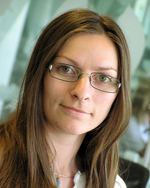 Nadica Hrgarek is a Software Quality Engineer at MED-EL Medical Electronics, an innovative hearing implant company based in Innsbruck, Austria. Her current research interests include quality management, process improvement, regulatory requirements for medical devices, software risk management and usability engineering process. Hrgarek received her graduate' and master's degrees at the University of Zagreb, Faculty of Organization and Informatics (Croatia) in 2002 and 2006, respectively. She is a member of the ASQF and ICPMSB. The healthcare sector is under a profound change driven by new technologies and a new view on how to handle and provide healthcare. While improvements in the quality of healthcare and costs containment are among the key drivers of this change, two properties are essential for the successful deployment of new technologies and architectures, namely: safety and security. UL (Underwriters Laboratories), a global safety testing and certification company and Notified Body is addressing these challenges and properties. This presentation will introduce the approach undertaken and highlight some relevant aspects of it. Underwriters Laboratories (UL) is a not for profit, testing and certification company and a SDO (Standard Development Organisation). In addition to its global testing and certification activities in the sectors of medical devices and laboratory instruments (IEC 60601, IEC 61010), UL is a 3rd party accredited person (FDA 510k, Japan PAL, Canada CMDCAS and others) and Notified Body in Europe for MD and IVD directives. Further, UL provides testing and certification in the IT, transaction securities, interoperability and other sectors. UL has recently introduced a Risk Management registration service (UL RM registration for ISO 14971). Dr. Terenzio Facchinetti has spent several years in research in the field of pharmacology and mechanism of action of drugs, followed by various management positions in laboratory and medical device diagnostics companies. He is with UL since more than 10 years and currently responsible for the Business Development of the Health Sciences Strategic Business Unit. 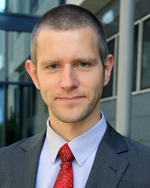 Dr. Terenzio Facchinetti is based in Germany at the UL European Headquarter in Neu-Isenburg (Zeppelinheim). The ubiquitous availability of medical data for authorized health professionals is expected to increase quality while reducing costs in the health care sector. Activities in this area are summarized under the term eHealth. In order to support the vision of patient centered shared electronic health records (SEHR) a standardized, distributed provision of medical or care data is needed. A main contribution to such cross-institutional data exchange is provided by Integrating the Healthcare Enterprise (IHE). Cross-institutional data exchange normally implies exchange between different systems and vendors and therefore requires a highly flexible and easy to adapt networking infrastructure. But interconnecting several institutions also means that failures that originally do only have local impacts suddenly can have intermural aspects. The increasing amount of potential users is tightly associated with a higher importance of information security and privacy issues. Highly flexible and easy to adapt on the one hand while highly secure, high quality and well tested on the other hand could be seen as opposing goals at first glance. Nevertheless eHealth networking infrastructure needs to consider all those aspects and needs appropriate measures to keep the risk as low as possible. This talk will present our experiences and lessons learned from six years of development and the implementation of IHE compliant products with respect to the high requirements on software quality in the healthcare domain. Our development process implements the ITIL v3 change and problem management processes and includes the use of code metrics, code reviews and continuous software integration tools, among other techniques. Observation of bug fixes and code metrics allows us longterm quality analysis along the releases. 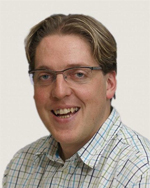 Richard Mair is head of software development for eHealth solutions at ITH icoserve technology for healthcare GmbH. He is member of the IHE technical committee and was one of the leading authors of the requirements document of the access control and audit trailing system for the Austrian nationwide shared electronic health records system (ELGA). His main interest is information security in general but especially access control systems as well as high quality software engineering. He has been responsible for developing a fully IHE conformant infrastructure for enabling shared electronic health record systems over the last 6 years.